Mac OS Mojave- is it worth upgrading? Thread: Mac OS Mojave- is it worth upgrading? Sorry if this has been asked before, but I keep getting pop-ups asking if I want to upgrade my Mac to OS Mojave. Tried Google but seem to be conflicting ideas. So is there anyone among us who has upgraded and can give me an idea as to whether it's worth doing? If it makes any difference this is the Mac I have. I upgraded on my MacBook Pro about 4 weeks ago. There are new features, two that spring to mind are stacks, where work is stored in , well stacks! Eg one on top of the other on the desk top. When you click on the stack is breaks down into its elements. Second is “ dark” this is a screen effect that turns everything you are not working on dark. Its a bit gimmicky, but I am using it. Stability wise, its like every MacBook upgrade I have done it is stable and no bugs. I've not found any significant / must have features personally but I do generally always update just to keep myself as current and patched as possible. I've been running it since the first public beta on my ancient (2012) MacBook Air and it's been good as gold from day one. I think that biggest change comes with new Safari - some extensions will stop working. Other than that everything works fine. Thanks for those comments. Much appreciated. No probem from day one, now am on 10.14.3 (18D109). Microsoft Office will have to download updates to work correctly. Photoshop will need updating. Nikon software will need to be updated. What kind of extensions are they? My Macbook popped up with this update a few days ago - took a while to install but no issues so far. Not had a chance to look at whats new as I only really use Chrome + Outlook on it these days but its been 100% stable. 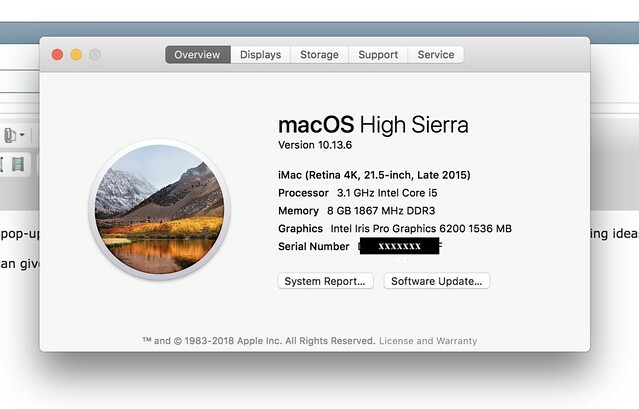 You won't need to increase your RAM to upgrade to Mojave but I always recommend maxing out any computer's RAM. 8GB is good but if you have a spare £60 or so, an 8GB chip would take you to 16 and things would run smoother, a bit faster and you could run more apps simultaneously. Without wishing to hijack this thread, is AdBlock Plus worth having? Yeah - it really does significantly improve the browsing experience, apart for sites that nag you when they detect you're running an adblocker. Those pop ups are annoying. Why can't they take disinterest as an answer? I updated my now-ancient Mac to Mojave a couple of weeks ago. I was surprised I could and suspect it won't be supported with the next upgrade. My main reason for doing so was hoping it would speed things up a bit (I typically turn on my Mac and leave it alone for five minutes to 'warm up'). Maybe it has, maybe it hasn't, it's hard to tell. But everything still works, even if it's still quite sluggish. Sounds like an idea but I wouldn't know where to start to fit it! The RAM isn't upgradable on your Mac. Normally there's a port on the back behind the stand, but if Seamaster has looked your Mac up some of them unfortunately are non upgradeable. Built in obsolescence - thanks Apple. Still 8gb will be fine in Mojave. 8gb will be fine in Mojave. It runs fine on my 2012 MacBook Air with just 4GB, but I do very little to tax it. Thanks guys, some great advice so far. On balance at the moment I'm thinking its probably worth doing the upgrade.